Don’t you just LOVE this idea!? The possibilities are endless– feathers, flowers, stencil letters, etc. 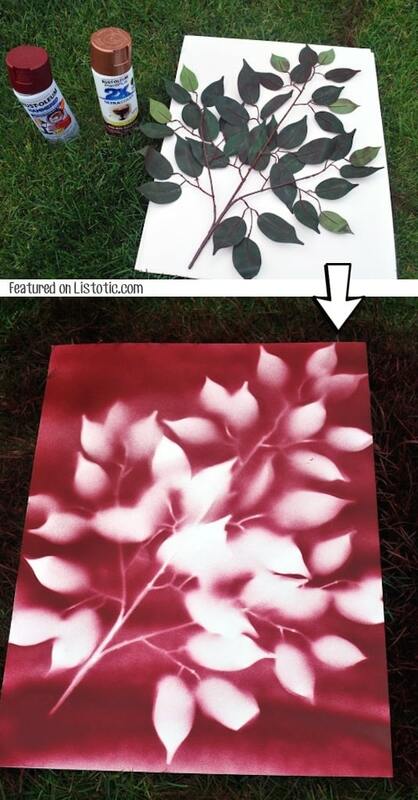 For a large wall, you could make 4 spray painted canvases, all with a similar theme but in different colors. Go check it out over at Simply Real Moms. Mirrored balls are a unique way to add character to your yard or garden, and the mirror effect can also make it look larger. 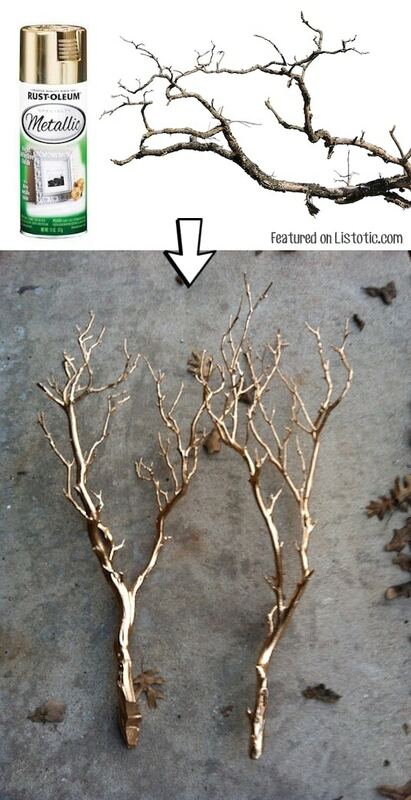 I think these would be really charming resting in a flower bed as part of the landscape! 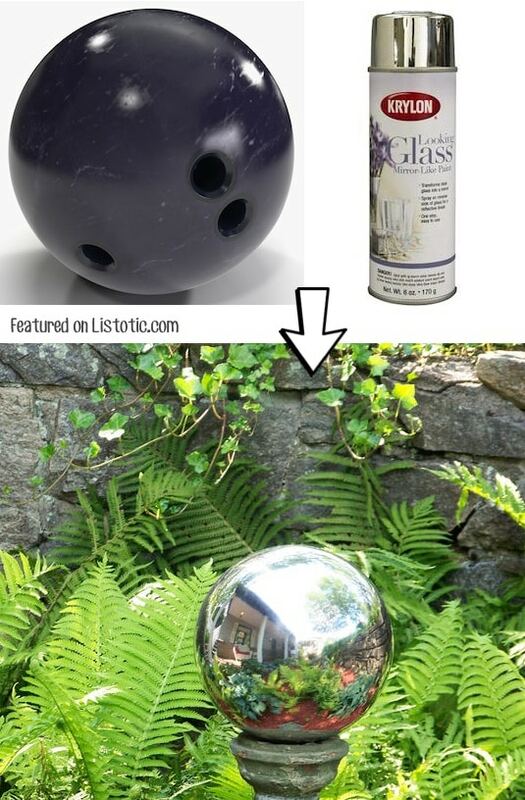 To make your own gazing ball, you can find used bowling balls at thrift stores and spray them with a mirror-like spray paint. Just be sure the holes are face down so that they aren’t visible. You can find more details on this here, although I would suggest cleaning the ball really well to remove all of the oils and residue before spray painting.